Our friend Ken proudly showed me a bean seedling in a pot. Now Ken is a great vegie grower and would not normally be showing me one bean seedling in a pot, but this bean was special. It has been eagerly watched over and nurtured by his nearly three year old grandson, Hunter. Each time Hunter comes to visit his “Ranads” he eagerly checks how his bean is growing. 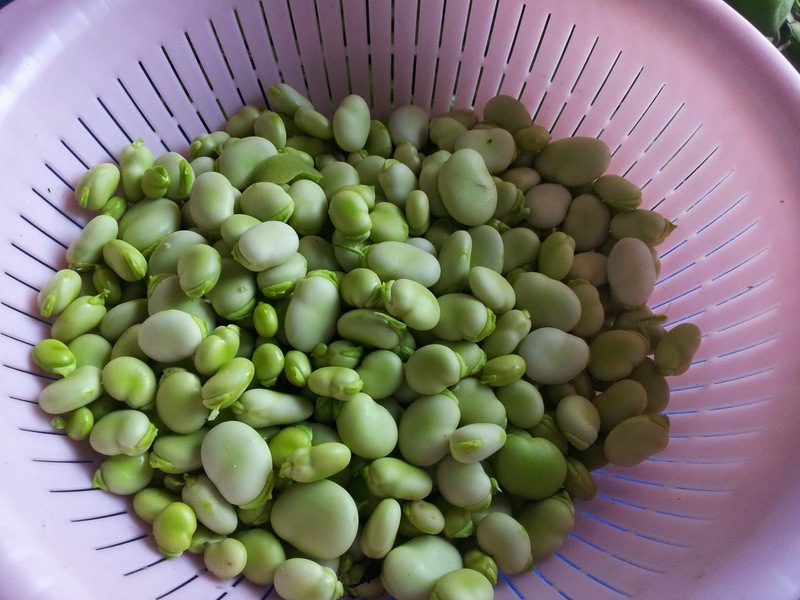 I began growing broad beans because they are an easy bean to grow, especially in the cooler south. Peter was not at all enthusiastic about the beans. His childhood memories of them, like so many others, were of an unappetizing, greeny-grey bean with a bitter coat that was probably boiled for a good ten minutes. It was time to give this bean’s culinary ‘bad rap’ a makeover. 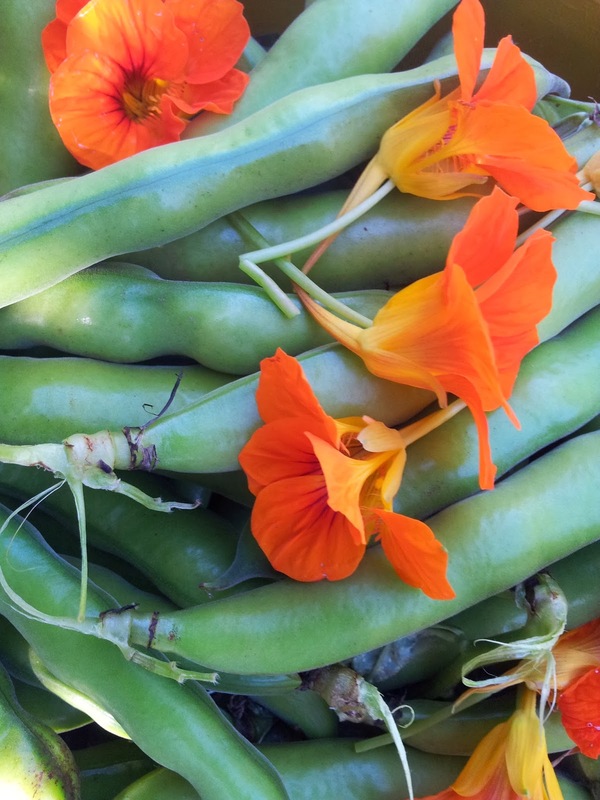 Fresh broad beans are bountiful at this time of the year but if you are not growing them they can be hard to find. You probably will have the best luck at a farmer’s market. 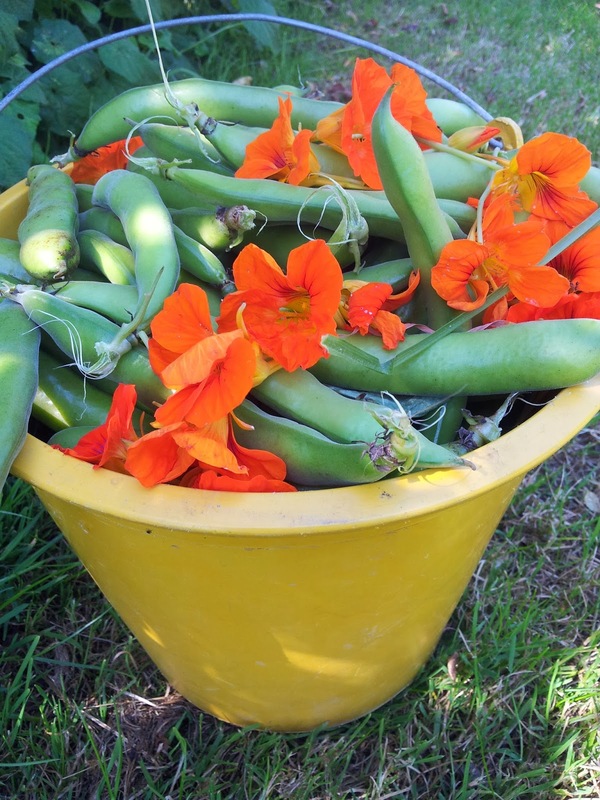 At our community garden a young boy was intrigued with the pods with their fluffy white lining and asked if he could try a bean. He came back for more and so introduced me to eating them raw – funny I hadn’t eaten them raw before. 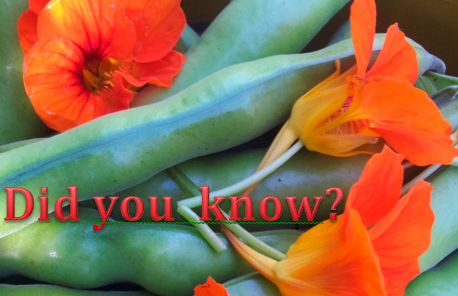 I have since discovered that in a coastal region of Northern Italy, young broad beans are enjoyed raw as the first of the spring garden produce. First of all boil the shelled beans for 3 – 5 minutes depending on size. As the beans are young at this time of the year they really only 1-2 minutes but as they grow larger and older they will need the longer time. To make them cool enough to handle, tip the beans into a sieve and run the cooked beans under a cold tap. 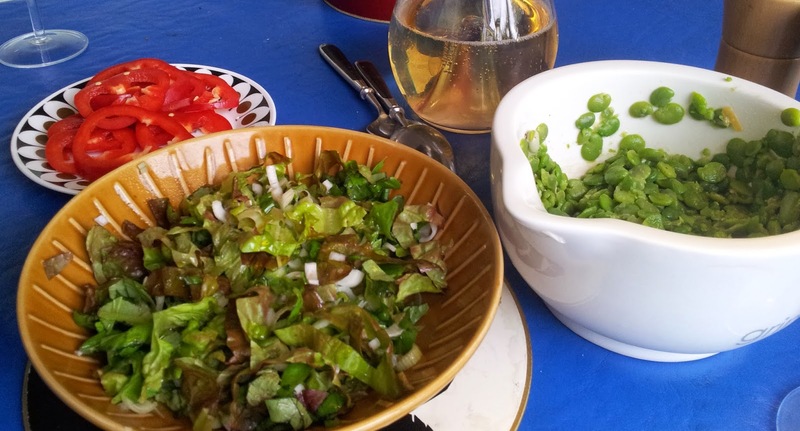 In Arabic they are called Foul (pronounced “fool”) – for those of you who think broad beans are foul here are three ways to use broad beans that may just change your mind. 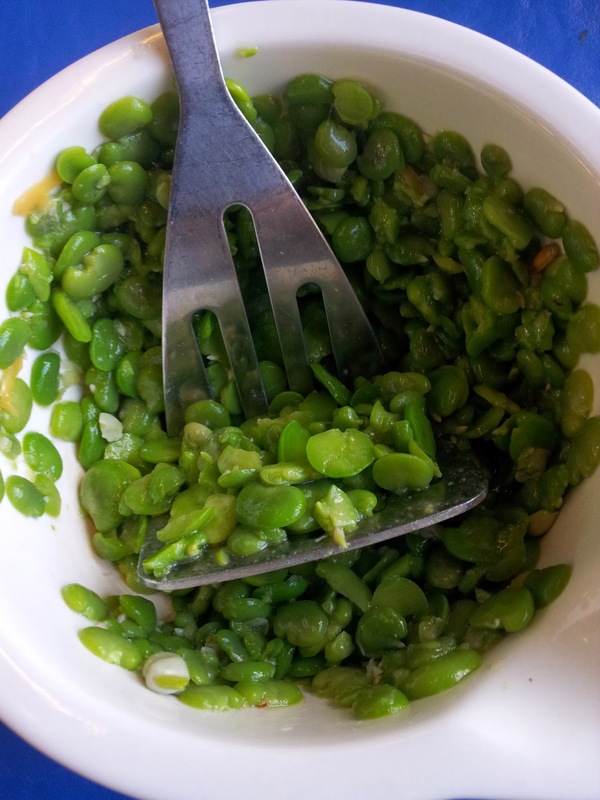 This is my favourite broad bean dish and it’s truly easy and quick. Beans and bacon are a match made in heaven. The best way to have this dish is to pick the beans and make immediately. If the beans are young there is no need to do the skinning. 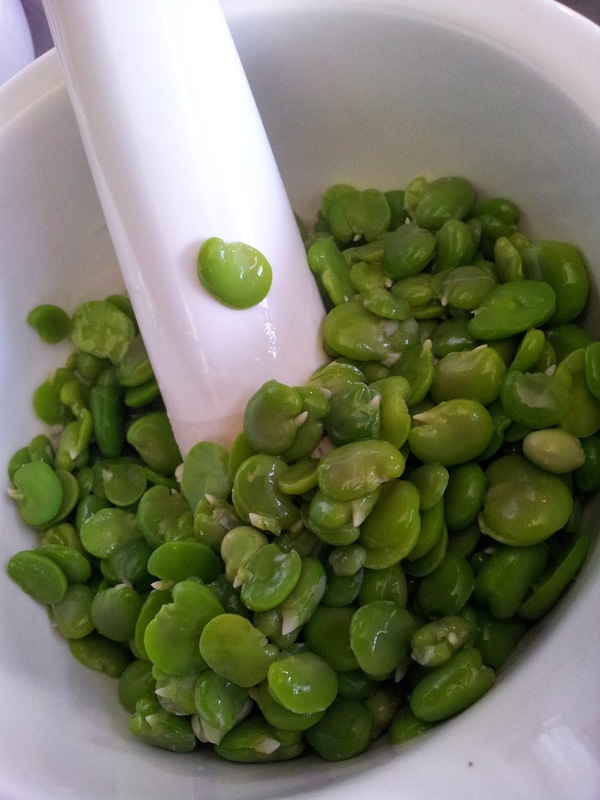 Some broad bean varieties now have a green skin when cooked which is a lot more appetizing than the khaki grey. I usually just skin the larger grey coloured beans. 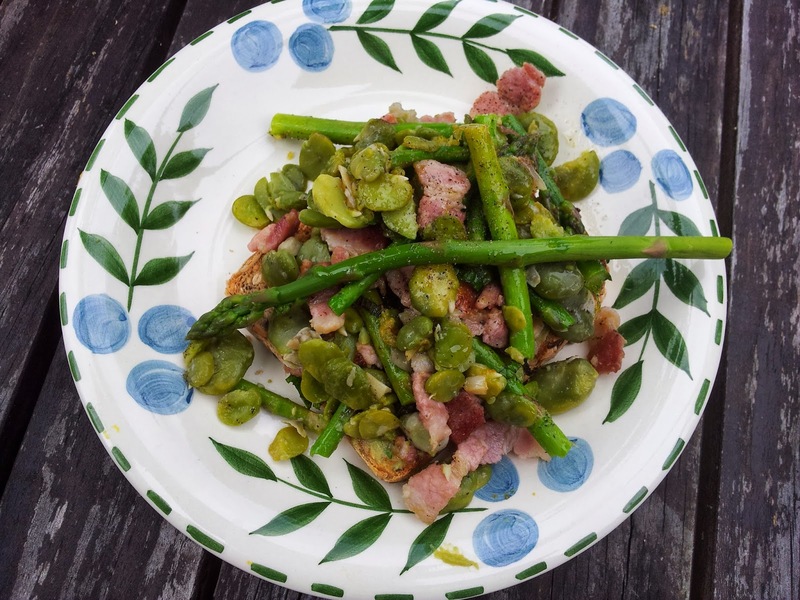 First of all fry a little chopped bacon in a heavy based pan – one slice per person – once it starts to colour then add finely chopped garlic, followed by broad beans that have been pre-cooked and skinned (if required). Add a squeeze of lemon juice, and season with pepper. Both broad beans and asparagus enjoy the company of mint. So add finely chopped mint at the end of cooking (not too much as mint is a strong flavouring – one set of top leaves in a sprig would do – about 1 tsp finely chopped). Toast a good bread and cover with the beans and bacon. 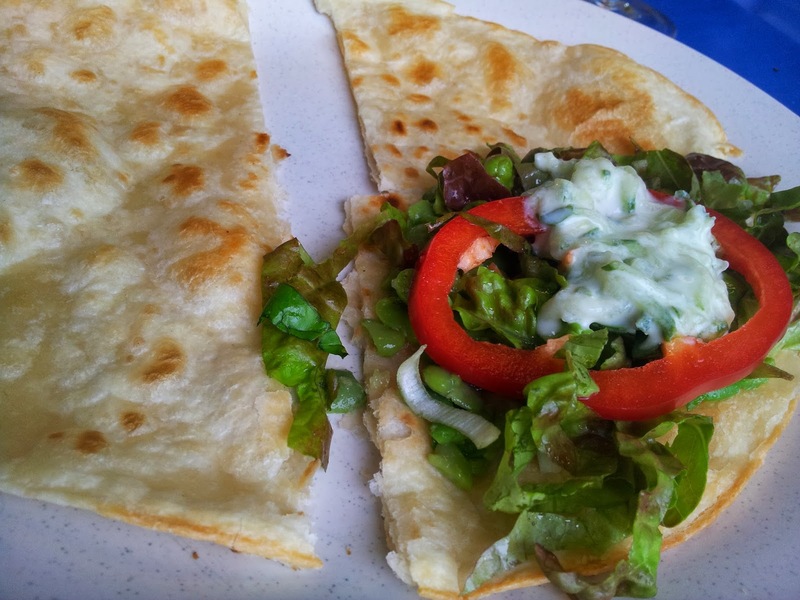 Before serving I drizzle some really good oil – either extra virgin olive oil or avocado oil. Hugh Fearnley-Whittingstall’s hummus is an ideal use for older beans that are getting floury. For me it’s one of the first dishes I make with the new season’s beans because its a way of sharing the fresh harvest with a number of people. 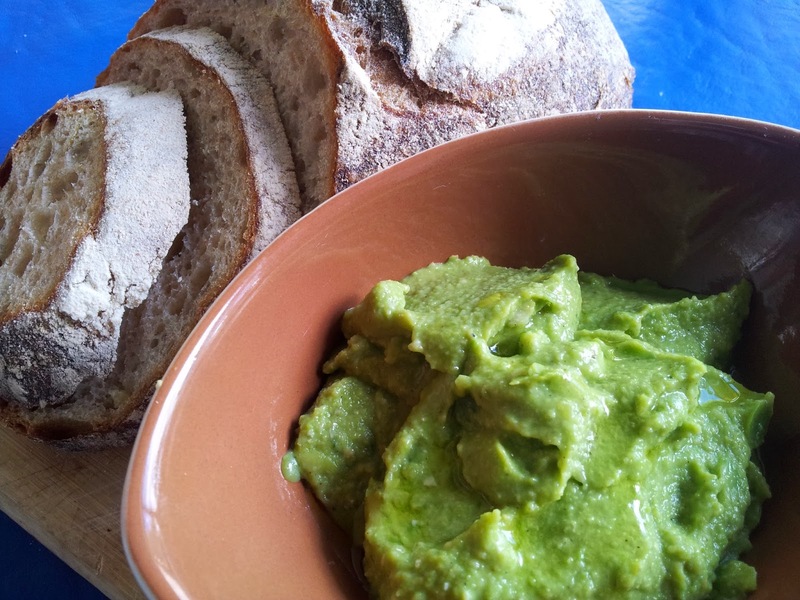 It’s a gob smacking green dip that certainly attracts attention and the texture is velvety. (optional) – a sprig of mint finely cut, or a splash of green tabasco sauce or addition of seeded green chilli. It’s important to taste along the way because there are ingredient variations. 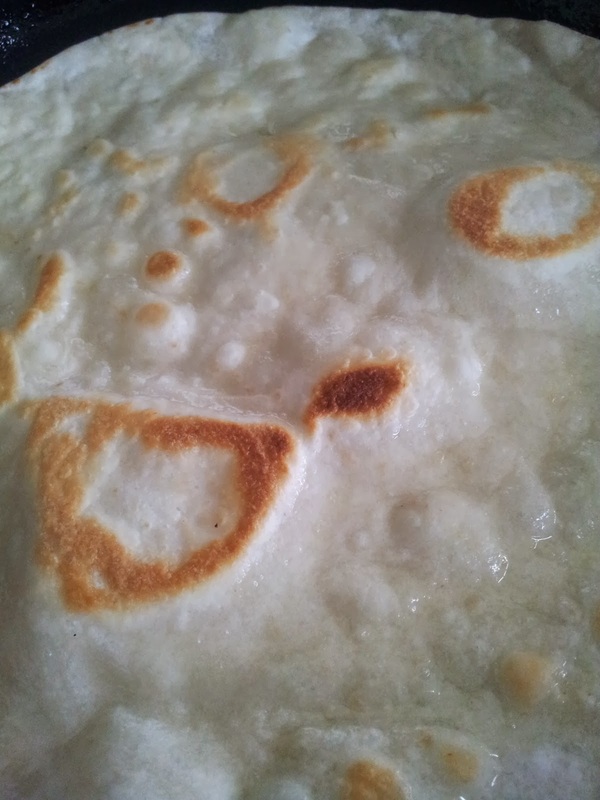 The flavour and consistency will depend on the age of the beans and the lemon and garlic can be of varying strengths. 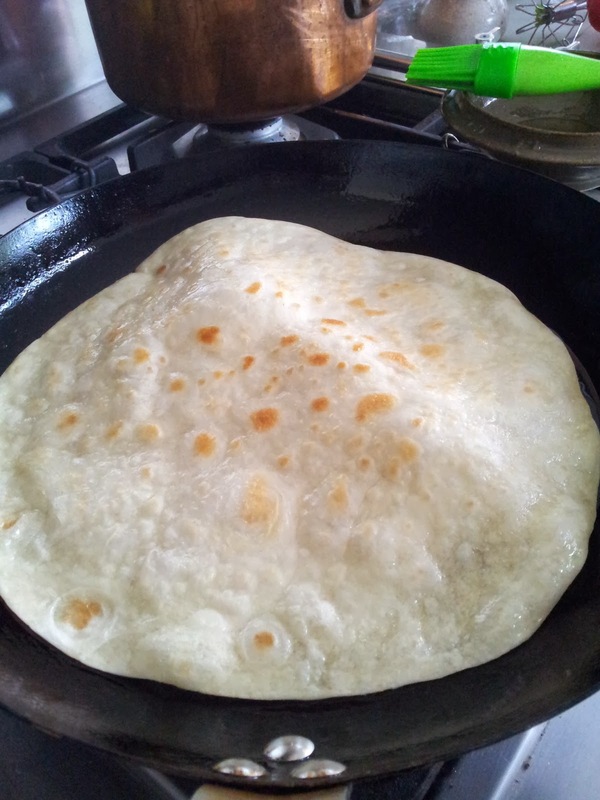 You could add a little green tabasco sauce or chilli if you want to add some heat. I also like to make it quite garlicky. 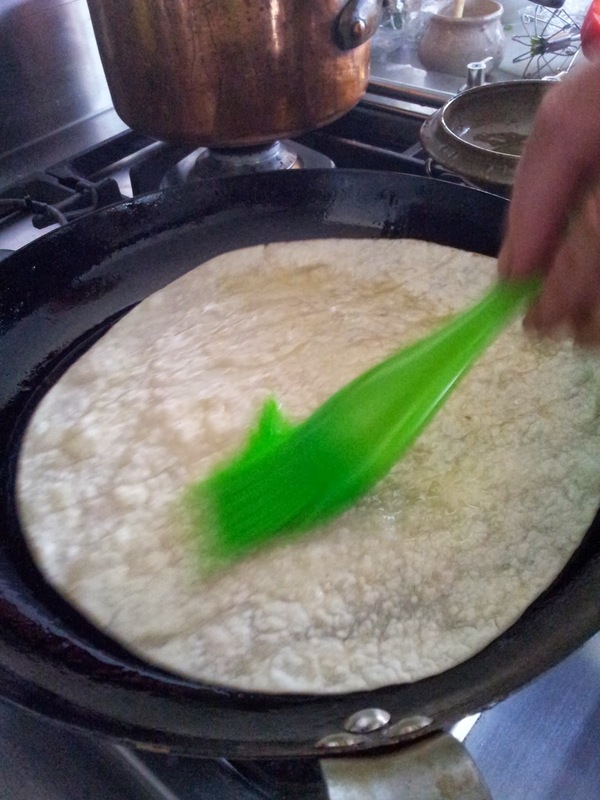 To cook the flat breads first you need a heavy based pan – caste iron is the best. What other bean can you eat every part of from the growing tips to the dried seeds? Also called Faba bean, I am now convinced that this most useful bean is a fab vegetable that doesn’t need a makeover…they just need less time in the pot and some good companions like mint, lemon, garlic and olive oil. Hunter has been given a great gift by Ken – a curiousity about the natural world. 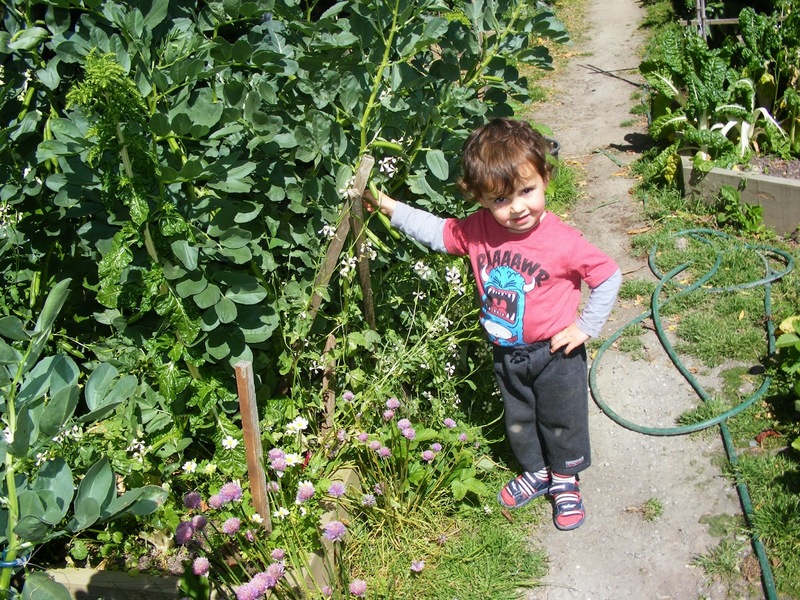 Ken in return has been reminded of the magic of gardening through the eyes of his grandson. 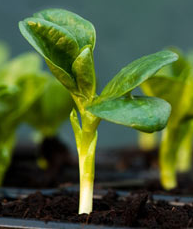 Go to it and introduce a child to growing beans!